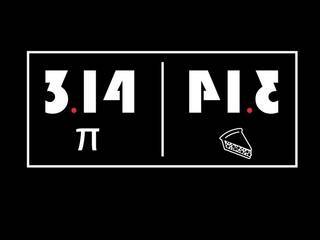 Mindless Mirth: Happy Pi Day! It's finally here! I know we've all been anxiously awaiting this glorious holiday, and finally, it has arrived! Excited? It's Pi Day, falling each year on 3/14. Just imagine how exciting it would have been to be alive on this day in 1592, yes 3/14/1592. I'm sure everyone celebrated and enjoyed the day off. I vote we make this a more recognized holiday and everyone should get the day off... If you think so too, comment, and I'll send our pleas to congress. 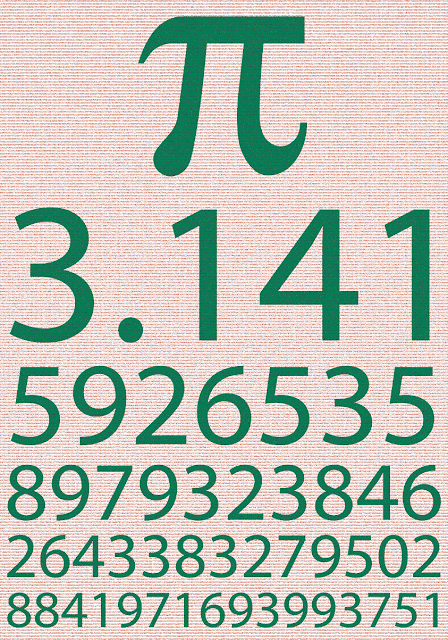 ”Pi Day” is celebrated on March 14 (which was chosen because it resembles 3.14). The official celebration begins at 1:59 p.m., to make an appropriate 3.14159 when combined with the date. Albert Einstein was born on Pi Day (3/14/1879) in Ulm Wurttemberg, Germany. With the use of computers, Pi has been calculated to over 1 trillion digits past the decimal. Pi is an irrational and transcendental number meaning it will continue infinitely without repeating. In the Star Trek episode “Wolf in the Fold,” Spock foils the evil computer by commanding it to “compute to last digit the value of pi. Thirty-nine decimal places of pi suffice for computing the circumference of a circle girding the known universe with an error no greater than the radius of a hydrogen atom. This page will allow you to search within Pi for where your birthday, your age, etc. falls.